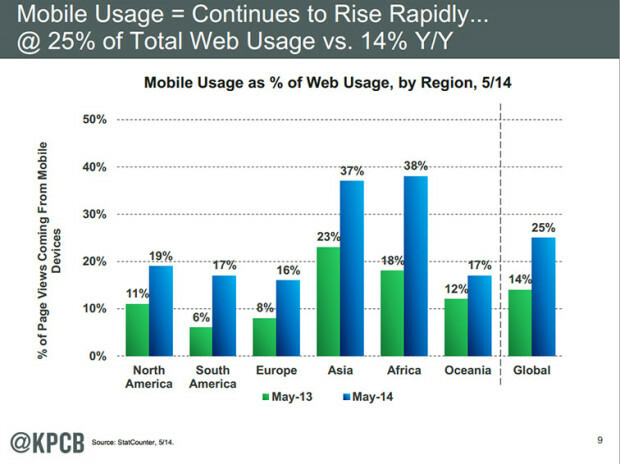 Mary Meeker has attained almost legendary status for her annual Internet Trends reports. The former Wall Street technology analyst, now a general partner at venture capital firm Kleiner Perkins Caufield & Byers, published her latest report on the state of the web on May 28, 2014. 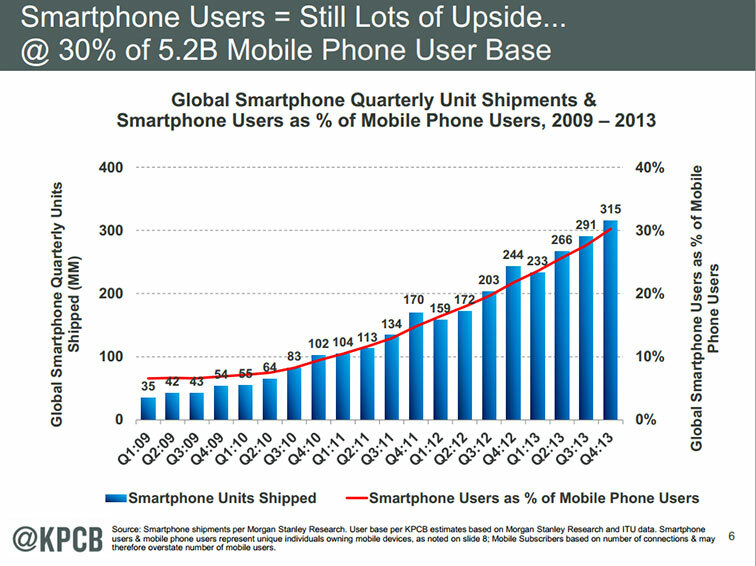 In it she highlights the aggressive momentum in mobile, the rapid emergence of new technology platforms, including wearable computing, and the staggering growth of the Internet in China. 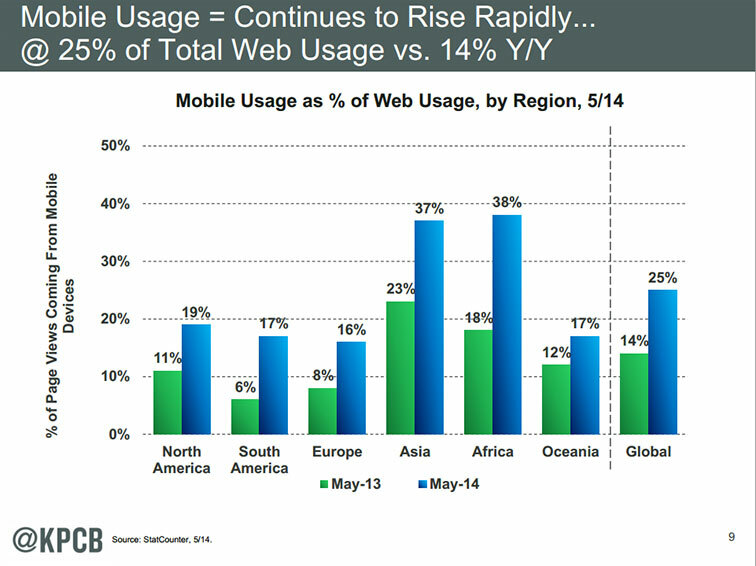 The continued growth of mobile Internet usage is perhaps the most powerful theme from her INTERNET TRENDS 2014 REPORT. 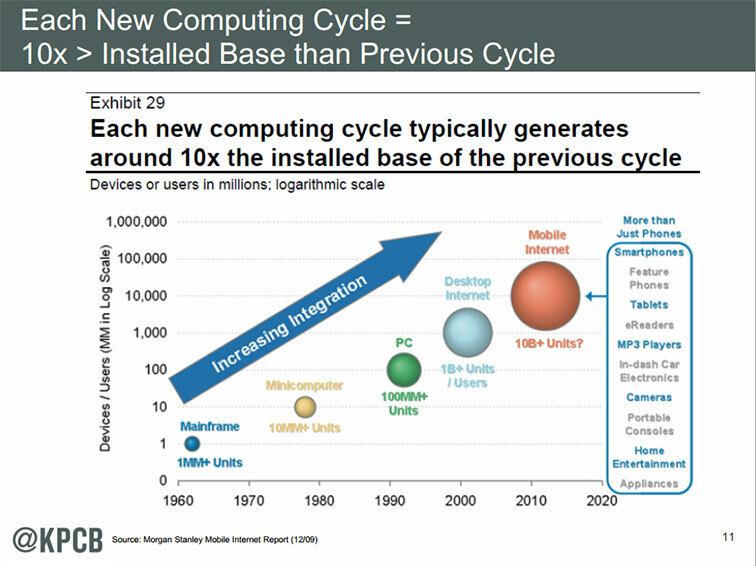 What are the tools and skills students will need for the future? 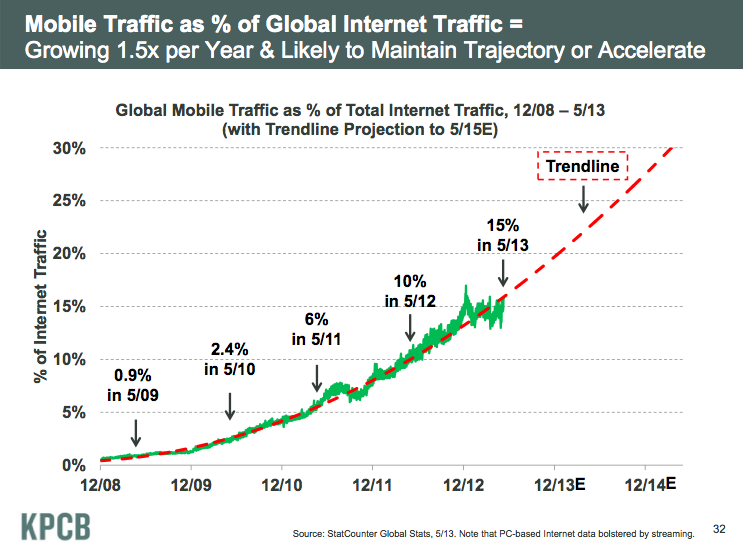 Global mobile traffic as a percentage of total Internet traffic, which surpassed 15 percent this month, is growing at a rate of 1.5 times per year and is likely to maintain this pace or accelerate, according to the report. 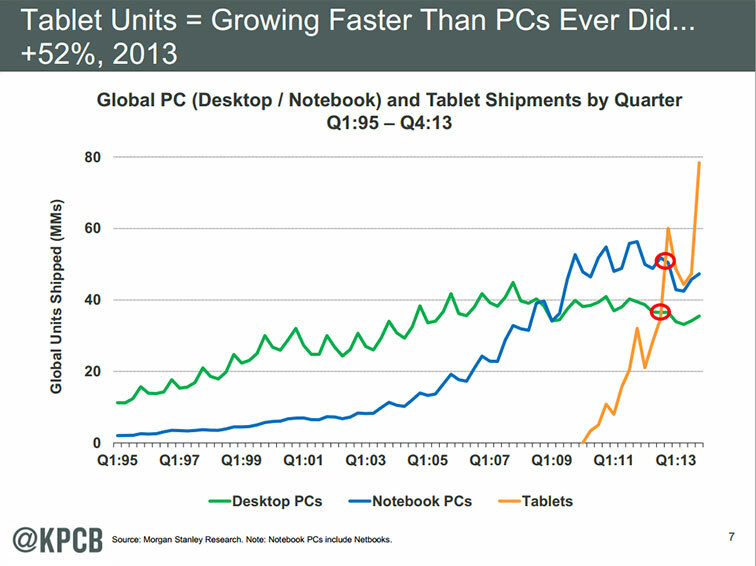 Desktop PC sales continue to fall, while the rate of tablets is growing faster than PC’s ever. 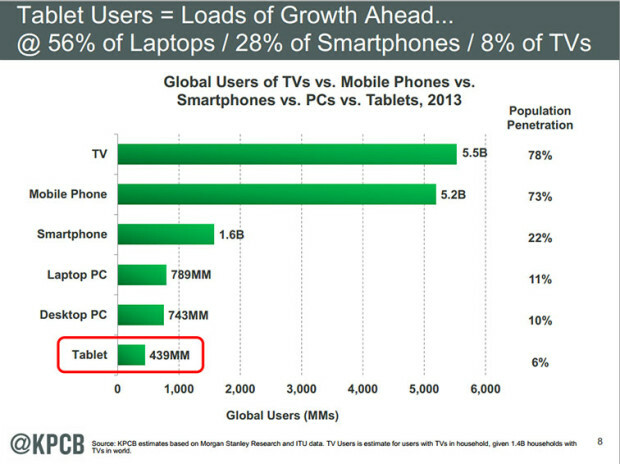 Tablet growth has potential for the future, while there’s already more mobile phones than people on earth. Each new computing cycle typically generates around 10x the installed base of the previous cycle. 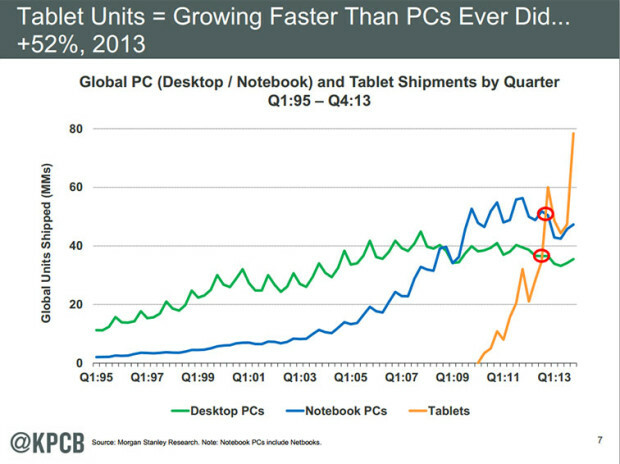 PC’s were 100 Million units, while Desktop Internet was 1 Billion units per user. 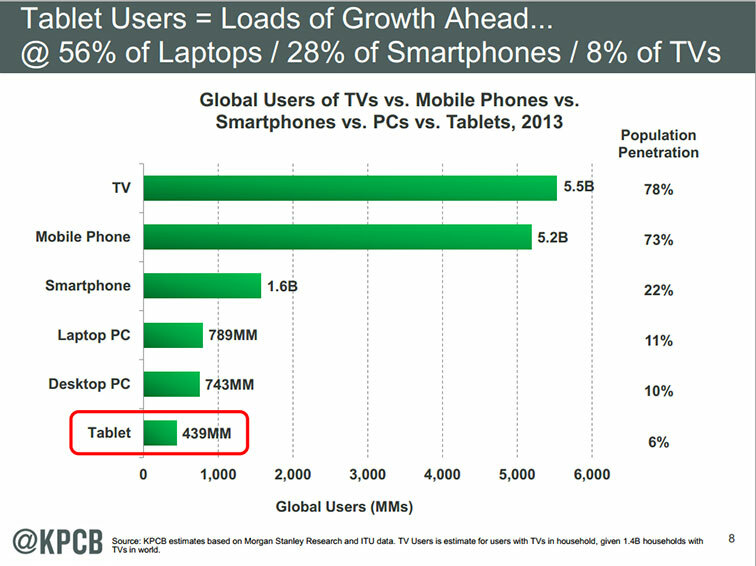 Mobile Internet which includes Smartphones, Tablets, MP3 players, Cameras, and Home Entertainment devices are predicted to reach 10 BILLION units..
How will we transition to the exploding mobile Internet arena and what tools are available to positively impact student learning?